The Physics Department offers a variety of events for scientists as well as for the general public. Here we present an overview. 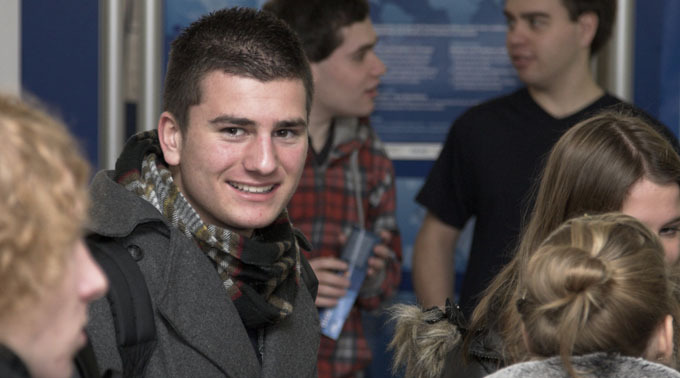 Prospective students visit the "Schülertag" to get informed on the study programs in Physics. Photo: TUM.PH/Schürmann. 2019-03-28 | 15:00: Youngster's Day 2019: Elektronendynamik in Molekülen – Was machen Elektronen auf kleiner Zeitskala? 2019-03-28 | 11:00: Youngster's Day 2019: Warum gibt es mehr Materie als Antimaterie? You would like to have your own event listed here?